Sailport Waterfront Suites, a Tampa Bay hotel and resort offering suites, extended stay rooms and beachfront views. 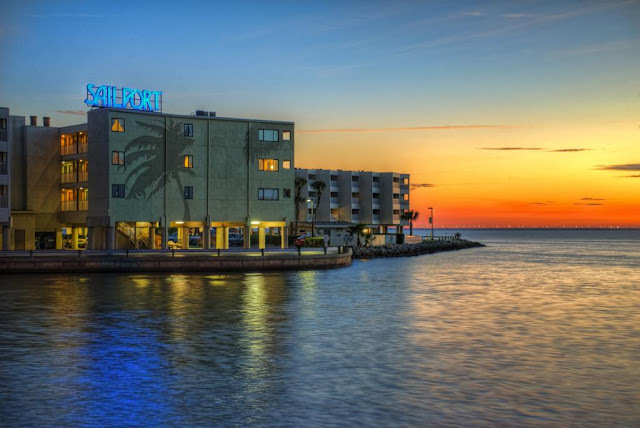 This Tampa-area waterfront apartment hotel sits on Rocky Point Island overlooking Tampa Bay; the white-sand Caladesi Beach, Lowry Park Zoo, and The Florida Aquarium are all within 8 miles. Waterfront, sanded sunning and relaxation area. Guests of Sailport Waterfront Suites can soak up the sun on the private sun and sand recreation area or stay in the shade in the covered lounge chairs. The heated pool pool is perfect for a quick dip. Wireless Internet access is complimentary throughout the property. Balconies that face Tampa Bay, living areas with a sofa bed, and full kitchens are standard in Sailport Waterfront Suites; in-room entertainment includes a 32-inch flat-screen TV with cable channels and CD/DVD players.